3 A new avocado avenue for Italy? 10 Back to the future for old varieties? A plan to harvest oil as a by-product of apple seeds has won first prize at the inaugural Interpoma Innovation Camp in Bolzano, South Tyrol. The initiative, by two contestants working under the name Repple, aims to take the apple seed oil and sell it to the pharmaceutical and nutraceutical sectors. Apple seeds are known to be rich in omega-6 and are in demand as an ingredient in a wide range of products. Repple beat off runner-up Smart Orchard - a system of interconnected technologies that give farmers up-to-the-minute production information - and third-placed Track Your Apple, which encourages consumers to enter online codes to find out more about their fruit and earn rewards. Contestants were grilled by a panel of expert judges from Italy and beyond as they tried to explain why their ideas were innovative and would be commercially viable. 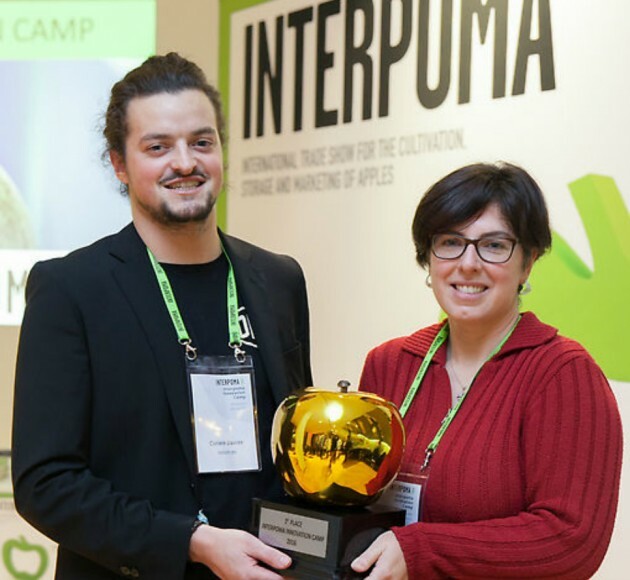 The Interpoma Innovation camp, which was organised by Austrian outfit WhatAVenture, took place over two days, with contestants being put into groups, brainstorming and finally presenting their ideas for judging.